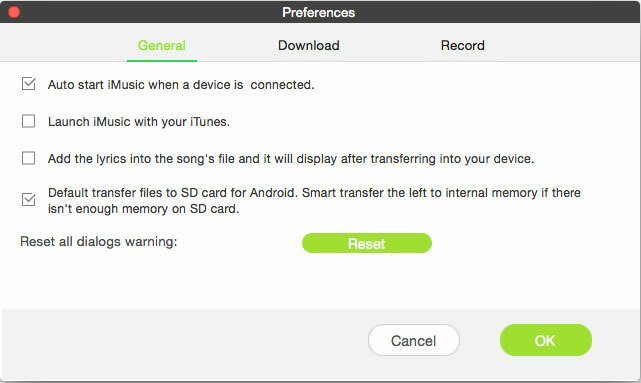 If you’re using Android phones regularly, it is a good idea to set SD card as the default sync path for Android phones. To set it up, follow the steps below. Step 1. Run iMusic and click the iMusic icon. Next, click “Preferences”. Step 2. Check the option “Set the external SD card to be the default location” and save the settings.